A person’s interest in entrepreneurship is most often explained by his passionate desire to change his life, be his own boss, earn a lot of money. Most of them move in online business with a website, blog, E-commerce store, business portal and strive for the desired success as soon as possible. Moving from a 9-5 job to a full-fledged business enterprise includes constant risk, stress, struggle, lack of psychological comfort. Always keep in mind that launching a business is a risky affair as an error or failure circumstances, entrepreneurs can lose time, money, and even property. Your fate in the online business depends on the ranking of your website, traffic, leads, and sales. All these fluctuates every now and then, affecting the business of companies. 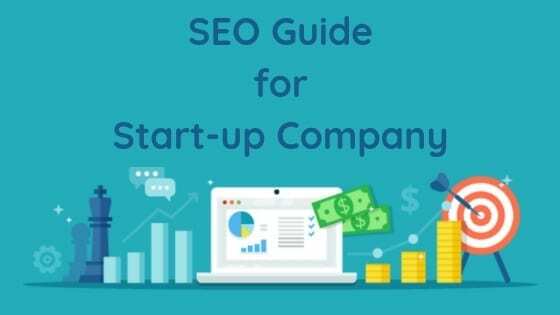 So, how to optimize a website for the start-up company and get the desired success? Let’s find out. While browsing the WWW, most individuals love to browse websites that are interesting to them and offer valuable information or opportunities. As a startup company, you have to vie with big organizations in the market and attract customers in bulk for the creation of leads and sales. Therefore, create a good, trendy, and professional website for your brand at first. Your website should be fast, responsive to mobile devices, and compatible with all modern web-browsers. Its design, color patterns, content, fonts, navigation, menus, etc, must be unique and attractive. Once you have a trendy website in hand, it becomes easier for you to move to the next step. Team Leader He/she manages an SEO team, guides them on how to optimize websites, and fetch the desired results. SEO Professionals They optimize websites for different search engines and the targeted audience and generate business opportunities for companies. Content Developers They create content for SEO activities. Internet Security Expert They take care of the Internet Infrastructure, ensure 100% website uptime, deal with online security issues, and fix technical problems faced by the SEO staff. All people that are active in online business know the huge importance of search engine optimization. Basically, it’s a set of different techniques to promote websites on different channels, generate traffic to websites, and create leads. All these depend on the SEO quality. Many digital marketing individuals take SEO activities lightly. But it is a serious responsibility if you really wish to fetch tangible results through SEO campaigns. First of all, analyze the actual needs of your business, competitors, and the products/services/information, people are looking for. Based on the accumulated data, create the Website optimization plan and implement that without any fail. In 99.99% SEO firms, website optimization plans are not followed because of mismanagement of workflow. Don’t do that. All SEO activities are based on the availability of content. So, create unique content almost every day, proofread and use them in daily SEO campaigns. Google & other search engines like regularly updated website and show them in the SERPs. When you optimize websites for search engines and people, it takes a lot of time to get organic traffic. Sometimes, because of too many submissions of the content on the same topic, the problem in content indexing, you don’t get the desired traffic from search engines. So, SEO professionals use Social Media Optimization to advertise their brand on the web, find the potential audience available on different social media channels, sell them more products and services, and boost the overall business volume. In order to perform SMO campaigns, first of all, add social sharing buttons to your website. Visitors will be able to share your useful content on different social sharing websites and help you to get additional traffic and business opportunities. You should also be active on social websites and promote your brand by all possible means. Hold active chat sessions with customers and solve their problems on the spot using the live links of your content. It improves user engagement with your brand and helps you to fetch more business opportunities as Google considers this as an important ranking factor. Fluctuations keep happening in the SERPs of different search engines. Their results changes within seconds. So, it is very difficult for a brand to maintain its position on the web and keep getting ample business opportunities. Email marketing is an easy way to reach out the existing and new subscribers with newsletters, advertise products and services, bring dissatisfied customers back into the conversion funnel and sell more products and services. Almost all Internet-based companies use this technique to meet their ambitious business objects. Launch Email Marketing campaigns rightly and meet your important business objectives. To be frank, Internet Marketing is all about how soon and how well you present the best answer to customer’s search terms, technically known as keywords. Google gives importance to content rich websites that help users to find the desired information and make instant decisions. Blogging and Guest Blogging are two effective ways to increase the credibility of your brand on the web, generate more traffic to websites, and encourage customers to make transactions one after another. Just add a blog to your website and start interacting with customers by publishing useful content regularly. Get your articles published on famous websites and blogs as a part of Guest blogging to generate high-quality backlinks to your site. This gives you additional traffic and business opportunities every day. If you Mulling to commence a start-up business on your own and Looking for ideas on how to get the speedy success, try these tips. The ultimate accomplishment in the web-based business will come to your way sooner or later. Good Luck! Robert Sumner works as a blogger for Media Fortress, one of the leading and fastest growing IT company offering Web Design & development and SEO Services Australia. He writes about various aspects of digital marketing and love to share the experience, knowledge, and thoughts with others. For more blogs, you can follow him on Facebook, and Twitter.